No software to install or setup, no instructions necessary. 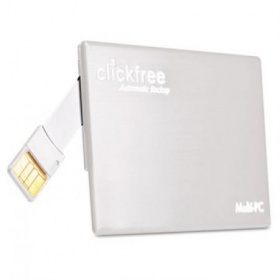 Just take it out of the package, plug it into a USB port on your computer using the integrated USB cable, and the Clickfree™ Traveler will do the rest. Backup multiple computers with one Clickfree™ Traveler!